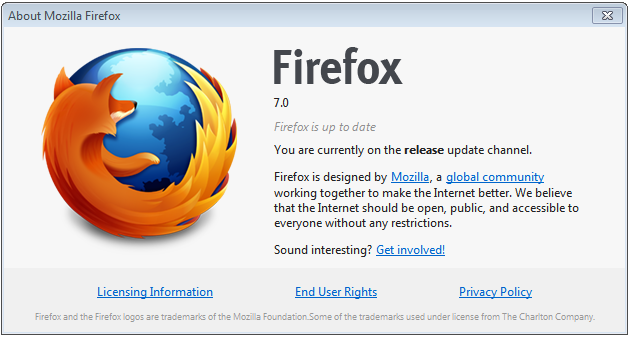 Mozilla is readying upcoming Firefox version 7.0, Eager to use it then Firefox 7.0 can be downloaded from their FTP server. Firefox 7 uses less memory than Firefox 6 (and 5 and 4). Its 20% to 30% less and sometimes as much as 50% less. In particular, Firefox 7′s memory usage will stay steady if you leave it running overnight, and it will free up memory when many tabs are closed.